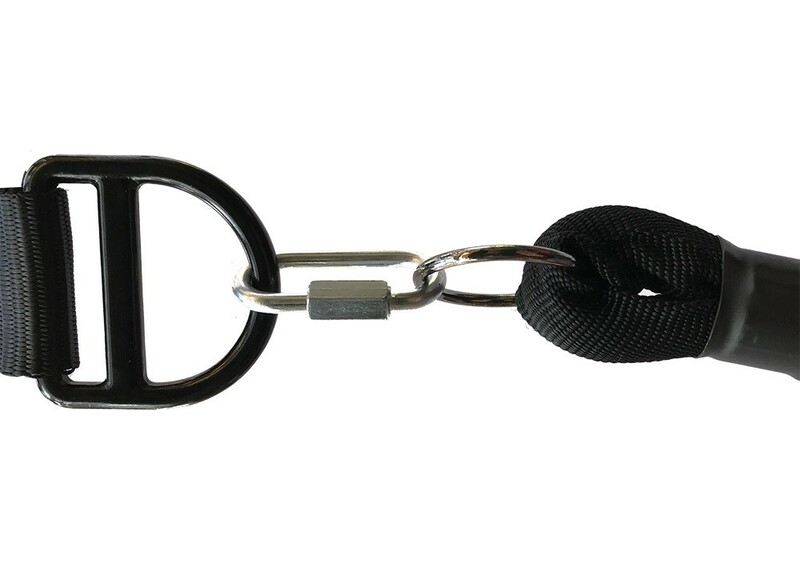 Fail-safe, heavy-duty 12mm bungee with extra secure metal clamping and thick nylon sheath designed for portable aerial dog run systems. If the bungee material were ever to break, the nylon sheath would maintain a secure connection. Eliminates drag and drooping due to stretch, weather, dog activity, and temperature by keeping the line taut at all times. Essential for lines over 100ft. 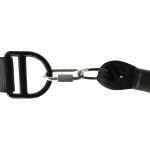 Allows a 6 inch stretch perpendicular to the line to decrease the tension on the dog harness or neck collar. Adding a line tensioner at each anchor point creates a safety function for low hanging lines for unsuspecting passersby on foot, scooter, or bicycle. Although recommended for rope systems, the Line Tensioner could conceivably be used on cable systems as well. However, permanent outside use in freezing temperatures may degrade the Tensioner more quickly over time. Depending upon the length, we recommend using two of them on one end or one on each end. For rope lengths between 60ft to 100ft, we recommend using one Line Tensioner. 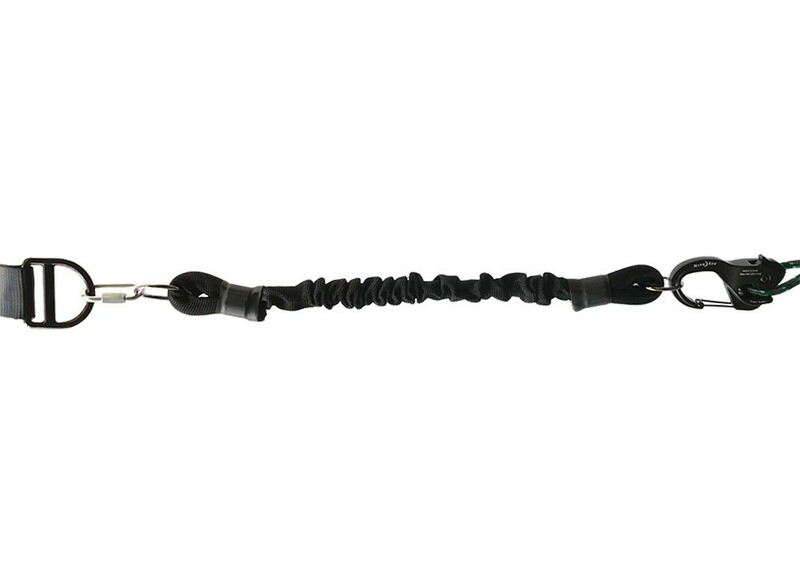 For rope lengths over 150ft, use two Tensioners, one of each end. 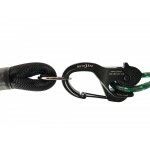 Once you have set up the first anchor point, attach the Line Tensioner to the strap D-ring via the small carabiner, then attach a ratchet to the other side. If using two Line Tensioners (recommended for rope lengths over 150 feet and when accommodating two dogs or more on a 100 ft length), repeat the process for the other anchor point. Once you have the entire line set up, pull on the rope end via the ratchet and stretch the Line Tensioner just enough to keep the line taut. If you can, allow some stretch potential to remain, which will increase the life of the bungee and also allow some stretch. 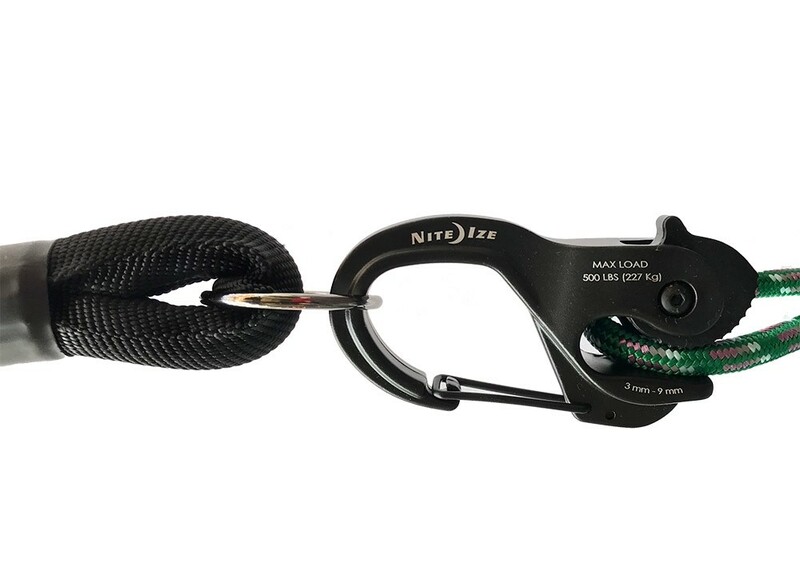 If you find you need to pull the bungee to the maximum due to the length of rope, increased rope weight due to weather, etc., we recommend using one Tensioner on each side. Rope will absorb rain and will freeze in winter conditions, which will add weight to the line. Adjust the bungee when necessary. Extreme winter temperatures may make bungees brittle, Release the tension of the Line Tensioner when not in use. This will increase the life of the bungee.